Today's Trick is how to tie a double-loop bow. Now, let's get to this! This technique is relatively simply. There are videos and/or tutorials on the internet. But, this is how I do it. 1. 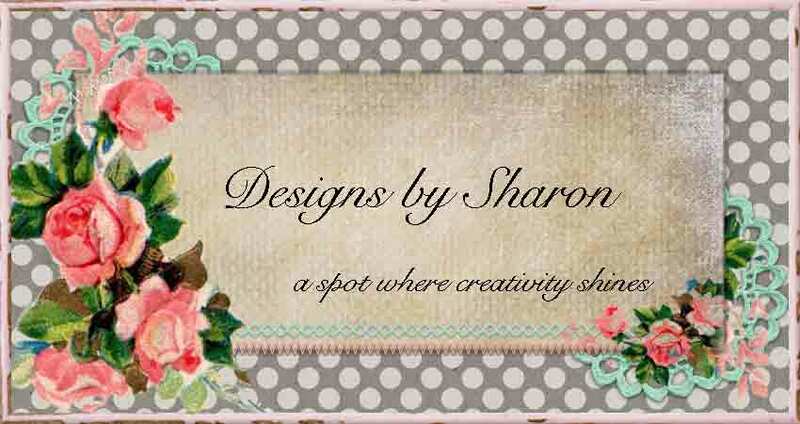 Start with the type of ribbon you want to work with. For me, I prefer a soft, very pliable ribbon. Seam Binding, (to me) works the best. 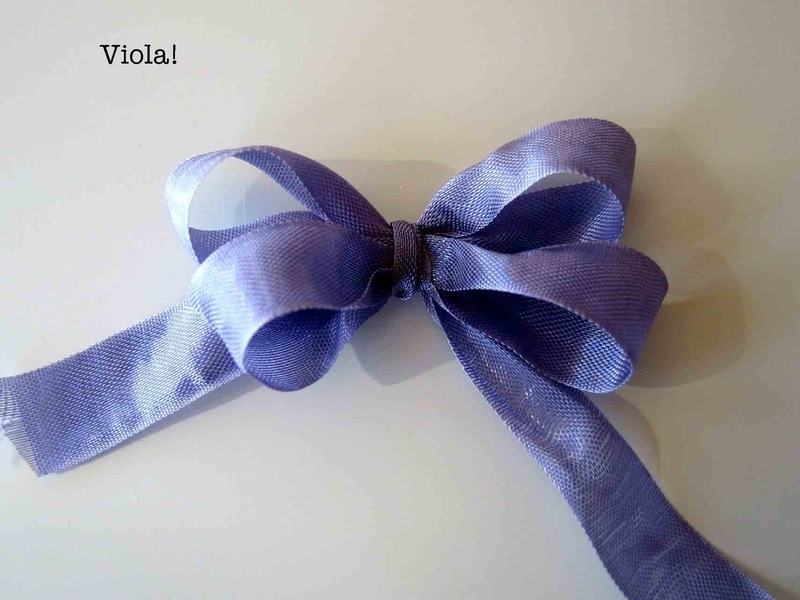 The stiffer the ribbon, the more 'tailored' the bow will look. 2. Create a 'V' with the index and middle finger on your dominant hand. 3. 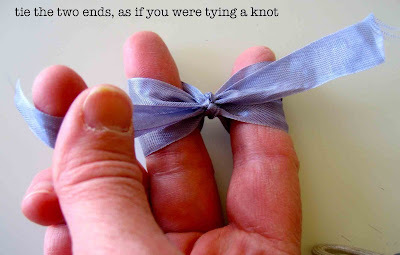 Hold the start of your ribbon with your thumb and ring fingers. 4. 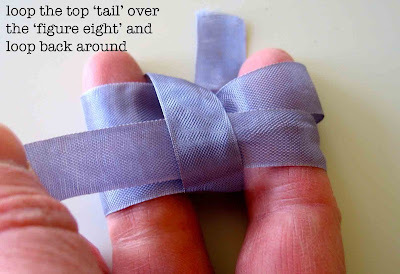 Loop the ribbon around your index and ring fingers, in a 'figure eight' fashion. 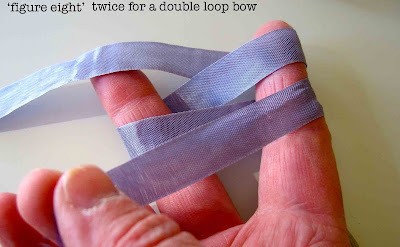 *side note: for a double loop bow, you will need to loop the ribbon around each finger twice. for a triple loop bow, you will need to loop the ribbon around each finger three times. 5. The tail/end of the ribbon must make the last loop around the middle finger, before you tie it. 6. Bring the ribbon tail towards you, and under the 'figure eight'. 7. Bring the tail back over the top of the 'figure eight'. 8. Pull the tail taught. This will help 'set' the knot where you want it. 9. Tie the two ends together, as if you were tying a knot. do NOT tie this knot too tight, as you will need to be able to remove your bow from your fingers. 10. Slide the bow off of your fingers gently, so that you do not pull one end of the ribbon too tight. As this will create a lop-sided bow. 10. Viola! you have a double loop bow! 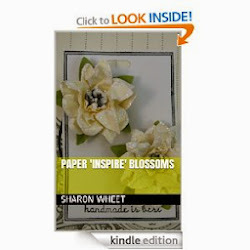 And now you are ready to embellish it, or simply add it to the front of a card, or any project!